Show your love, send them to your special someone. Assorted color roses, and cymbidium orchids. Standard arrangement includes 27 stems. Deluxe arrangement includes 52 stems. 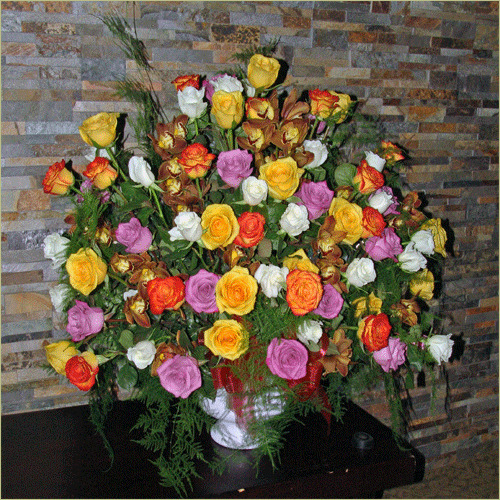 Premium arrangement includes 77 stems.